There is not much more that needs to be said about these glasses. Fresh off the new design platform from GloFX, the all-new Lens-FX Series takes the concept of light diffraction to a whole new level. With these exclusive lenses, you can now immerse yourself in a variety of never before seen shapes, patterns, and effects! With modern lens technology advancing rapidly, we wanted to bring customers a product that would not only last but also provide the greatest experience. 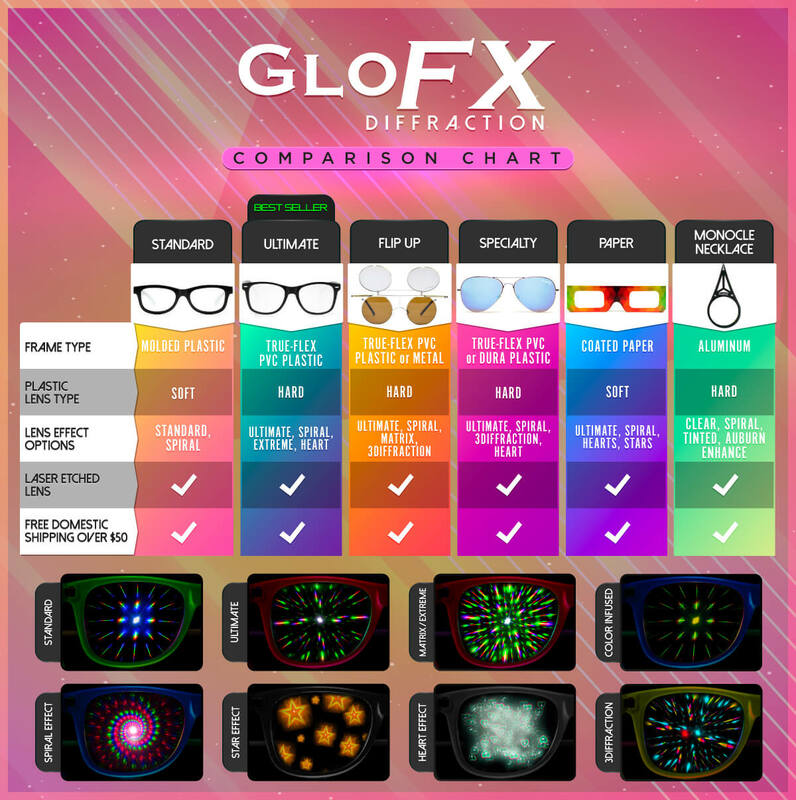 You are guaranteed to not only have an intensive visual experience but also look stylish while you’re at it with these GloFX Diffraction glasses! Open your eyes to a whole new world of diffraction effects! Throw these glasses on and jump into a sea of rainbows! These glasses do not diffract indirect lighting. The intense spiral diffraction effect of these glasses can be seen when viewing any direct light source. Strong and comfortable glasses. The diffraction is very intense.